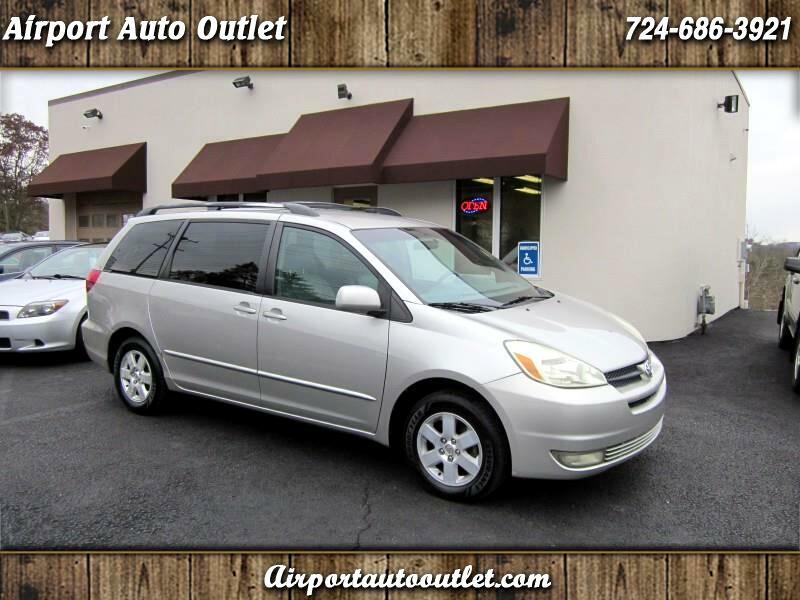 Extra clean, EXTRA LOW MILEAGE, Toyota Sienna XLE, in great shape all around. This van is excellent inside and out, and far above average. It's cleaner than most newer vans, and has been very well kept. You don't find them too often taken care of the way this one was. We just had our mechanics check it over, and it ready to go. It has full leather with power, heated seats, dual power side doors, and power rear hatch. Very well equipped van, and excellent condition. Must see and drive to appreciate. 3 Month/4500 Miles Powertrain Warranty. We take a lot of pride in our inventory, and price our vehicles based according to the condition of them. We only offer the cleanest vehicles on the market, and work very hard to find them for you. Our vehicles are far cleaner than the average ones available. We stand behind them 100% and strive for a positive relationship with every customer. Satisfaction is our #1 goal. We also welcome trades of all types. Visit Airport Auto Outlet online at Airportautooutlet.com to see more pictures of this vehicle or call us at 724-686-3921 today to schedule your test drive.